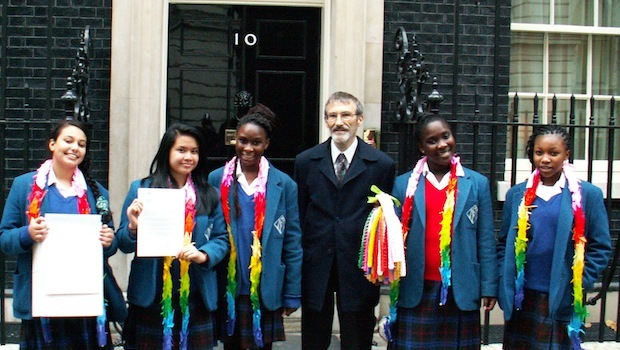 London schoolgirls with Martin Birdseye, of ICAN UK partner organisation Pax Christi, delivering a letter from young people in Hiroshima to David Cameron at No. 10 Downing Street. 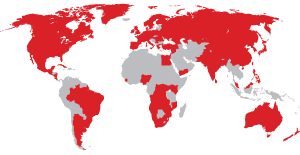 Along with a gift of 1,000 origami cranes, “each one a prayer for a peaceful nuclear-weapon-free world”, the group asked the prime minister for a treaty to ban nuclear weapons.